Illustration and graphic story-telling is my passion. I have created here a portfolio of my work as well as information about myself, new book releases and a bibliography all found in this space if you care to browse. It's all accessible via the stand alone pages which can be reached using the text bar you see above this post. 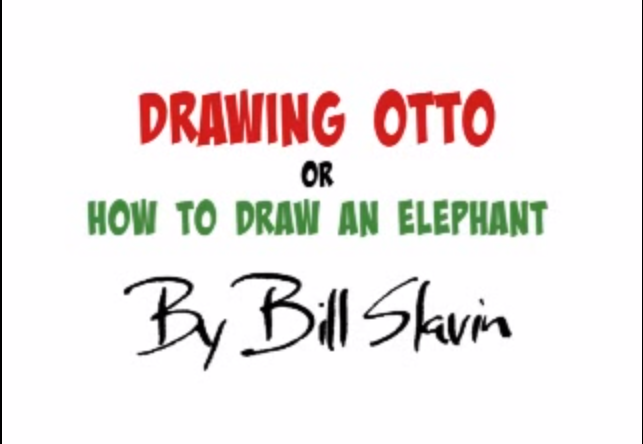 And if you care to read about my adventures in creating the Elephants Never Forget series, learn to draw Otto or simply practice a few basic cartooning techniques, just click on the images at the bottom of this page. I received my advance copies of There, There this week, my newest book written by Tim Beiser. 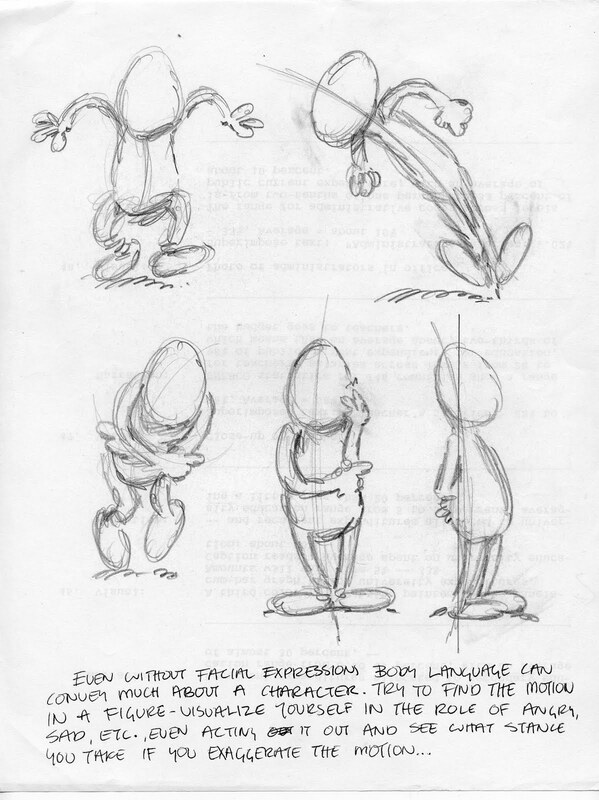 This is the second book Tim and I have worked together on, the first being Little Chicken Duck. 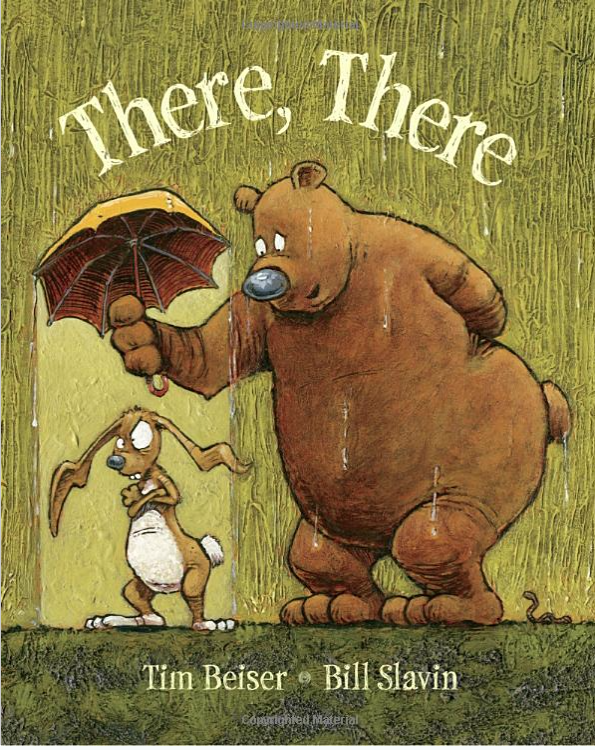 This is the story of a grumpy rabbit, a patient bear and the tedium of a rainy day. I had a lot of fun executing the artwork, incorporating leaves and roots and bits I found on my daily walks right into the painting! There was a nice surprise on my porch this morning - a box of brand new Big Books of Canada freshly delivered! Written by Christopher Moore, I was asked to illustrate this book when it was first released in 2002. It consumed about a year of my life, requiring over 100 paintings to grace its 252 pages. So nice to see it re-released for a new generation of school kids. There's so much good information in this book about this amazing and diverse country we call home! Yesterday I had a great trip down to Picton for a public library visit with a room full of students from Queen Elizabeth School. The questions were non-stop and we managed to get through a lot in our hour. 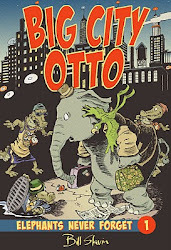 I was especially pleased to find I had an Otto fan in the crowd who had read the first two Otto books. He went away with the third, Big Star Otto, at the end of the session. 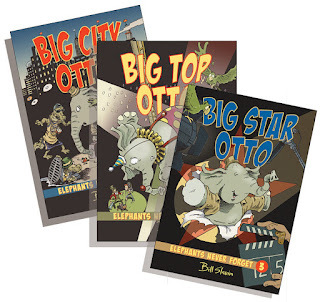 Otto super fan Jayden Byford walks away with the third Otto book after my library visit in Picton. Enjoy, Jayden! I was so glad to hear that Linda Bailey's and my book Stanley at School was nominated for the 2017 Blue Spruce. It is such a good list these year and I'm proud to have our book be part of it. I'm looking forward to the opportunity to share it with Ontario students over the coming year. For a full list of nominated titles, click here. I will be presenting Who Broke the Teapot?! at two book festivals this September. 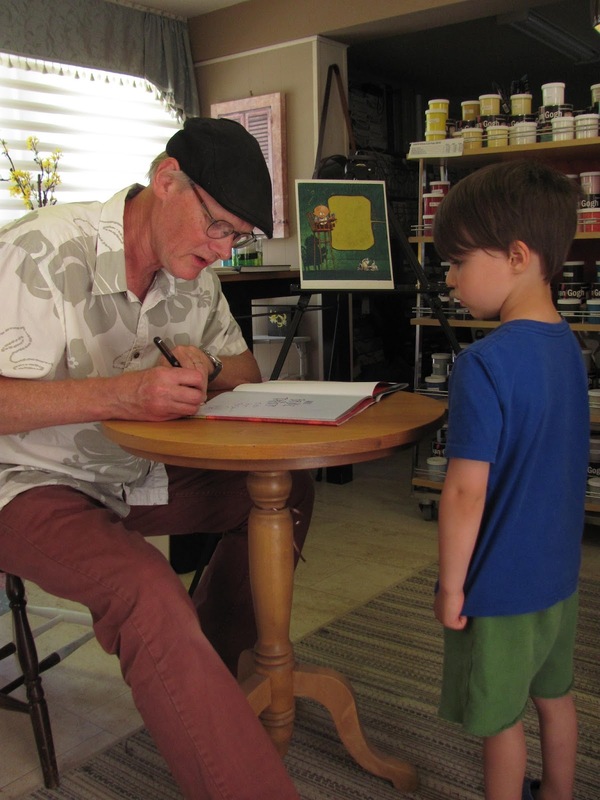 Talking Tales, is held in Westfield Heritage Village in Rockton, Ontario, 30 minutes north of Hamilton and will go all day Sunday, September 18th. I will be appearing at the Jerseyville Railway Station at 2:15 pm. There is a great line up of presenters not to be missed! The second festival is Word on the Street Toronto, held the following Sunday, Sept. 25. I will be presenting at the TD Children's Tent at 3:20 pm. and would love to see you there. What would this world be without friends? Stacey Roderick just forwarded me this wonderful review (thanks, Stacey!) published in the School Library Journal blog and which can be found here. The SLJ is the foremost reviewer of children's literature in the U.S. and the worst thing Elizabeth Bird could say about my book is that it was a pity it wasn't American!! My good friend and fellow author Monica Kulling just forwarded this terrific Teapot review from Canadian Materials, one of the longest-standing and well-respected book reviewers in Canada. It was too good not to share - it can be found here. Thanks, Monica! Also it was very exciting for me to find out I have a groupie! What a great day I had yesterday in Millbrook, launching Who Broke the Teapot?! in the company of so many dear friends in the centre of the community I love. It was standing room only in Bear Essentials, the store that sells more of my books than any other store in Canada! 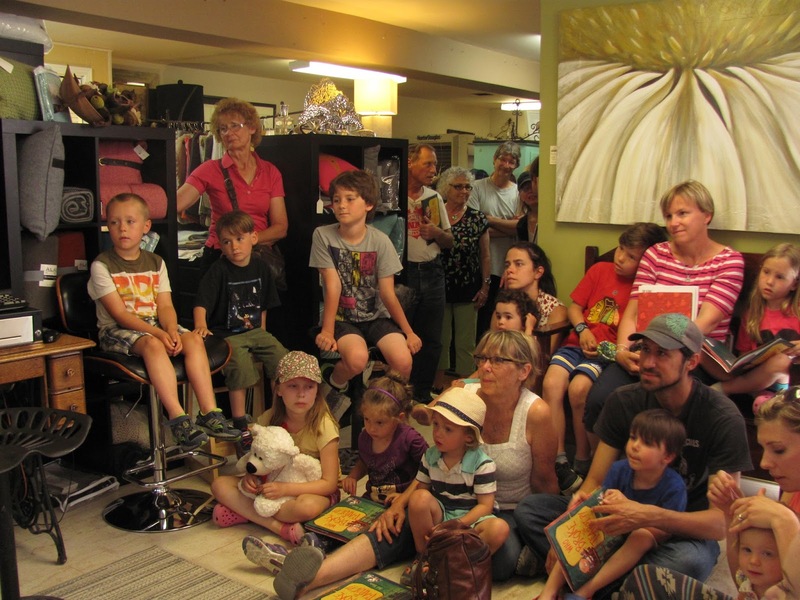 Thanks Bonnie and Ian for making this happen, and everyone else who gave up part of a beautiful Saturday to come and share in the launching of my brand new picture book! Ollie waits patiently as I draw a picture in his book. So many good friends, young and old(er) came and shared this day. Thank you! The highlight of a week's worth of school visits was when I found out that there was a Grade 1/2 class full of Stanley aficionados down in Lakewoods Public School in Oshawa. At their teacher's invitation, I arranged for a pop-in visit. The "quick visit" spun out to an hour or more as I fielded some pretty obscure Stanley trivia questions (How come Elwood doesn't make it to book three? Where is Nutsy in Stanley's Party? Is the cat in Wild Ride the same cat that shows up in Stanley's Little Sister?) What fun! Visiting Ms. Givens-Doran's class in Lakewoods Public School. It turned out these kids knew more about Stanley then anyone!! Today is Teapot's birthday! The book is now available in stores. We're having a local launch of the book here in Millbrook on June 4, 2016 at Bear Essentials, 12 King St. E., Millbrook Ontario. Fingers crossed that the downtown won't still be a war zone. I just found out that Stanley at School was short listed for the 2015 Elizabeth Mrazik-Cleaver Canadian Picture Book Award, an annual illustrator's award. If you click on the link above you'll see Stanley is in great company this year!! 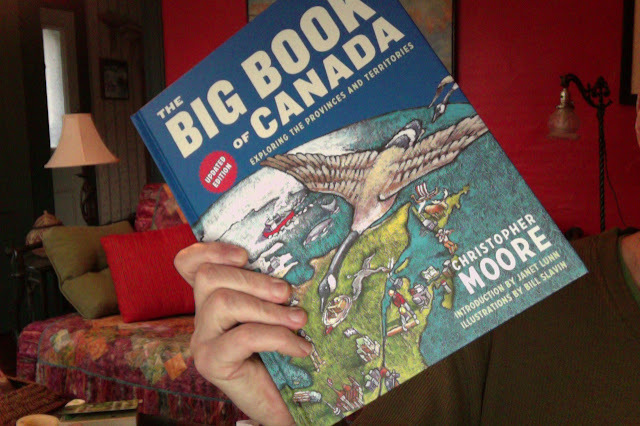 An advance copy of my newest book (and the first picture book I have written in 20 years! ), Who Broke the Teapot? !, arrived on my doorstep on Monday, just in time for me to take it to a couple of schools in Aurora that I visited yesterday. What fun that was! 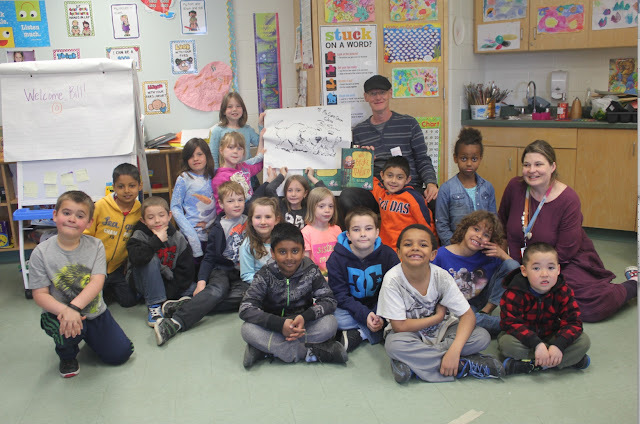 I had a great time at Kew Beach Public School in Toronto yesterday, sharing stuff about books and illustration and fielding lots of great questions from three classes of Grade 3's. Thanks guys! Talking books with the Grade 3's at Kew Beach Public School. I recently returned from a trip out west to a couple of book festivals, Calgary Wordfest and the Vancouver Writers' Festival. Both were amazing experiences, where I got to meet lots of fascinating people and returned energized with my head bursting with new ideas! Some of the new friends I made included the illustraor/authors Cybèle Young and Anne Villeneuve and author Kallie George, as well as re-connecting with my good friend Linda Bailey. 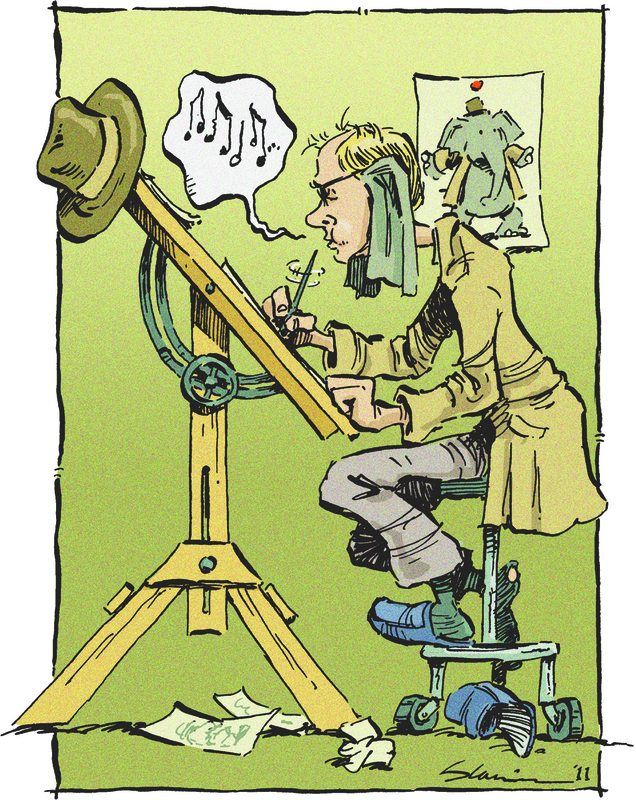 Now I'm back at my desk, working on art for Tim Beiser's new book, There, There. Here is a sample of one of the pencil drawings I recently did for this very funny story. One of the things I figured out when I was away was how much I miss visiting kids at schools! I have just listed with Authors' Booking Service, with the intention of visiting more schools. If you are interested in booking a visit please check out the information on the School Visits page at the top of this post. I'm very excited about the new Stanley, Stanley at School, released this past summer and now available in bookstores. Here's the trailer. 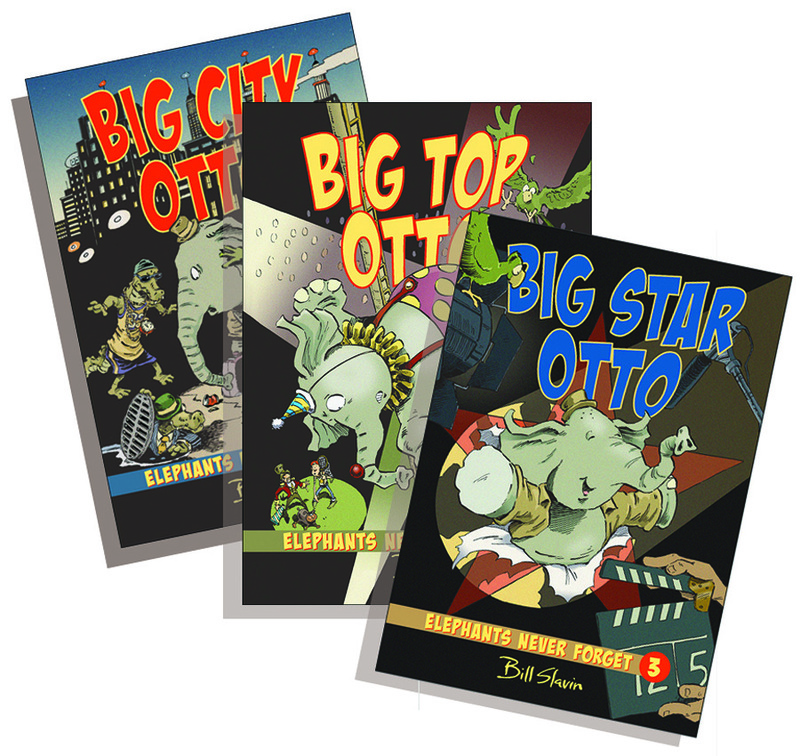 And equally exciting is the conclusion of my Elephants Never Forget series with the release of Big Star Otto. It was a wild ride with Otto over the past five years, and I had a lot of fun. I hope you have as much fun reading his adventures. I have just finished the art for two new books which will be out soonish, Zap! 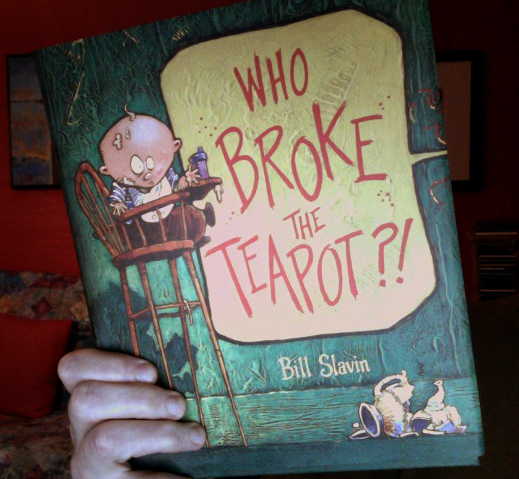 Nikola Tesla Takes Charge by Monica Kulling and my own new book, Who Broke the Teapot?! 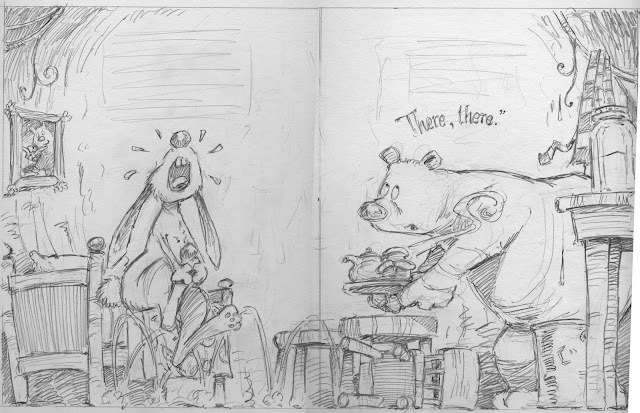 Both are due out sometime in 2016 but you can sneak preview some of the art here on my Picture Book Illustration page.